Bordered east by the 1,382-acre Oscar Scherer State Park, Rivendell real estate was masterfully developed to meld with its refreshing natural environment. 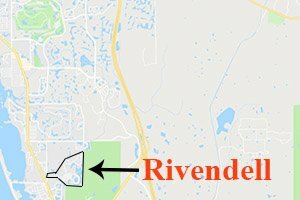 The community features several ponds and lakes, sprawling preserves, and open spaces which serve as an endearing backdrop for the homes for sale in Rivendell. 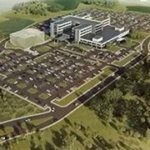 Sandhill Preserve is programmed for a total 350 homes. It is a gated enclave, and its residents enjoy an exciting collection of amenities. The facilities here include a resort-type swimming pool, tennis courts and a well-equipped fitness center. Esplanade on Palmer Ranch is the flagship to the resort-inspired communities that national homebuilder Taylor Morrison has been developing in South County. This community started taking shape in early 2017 further enriching the choices of Sarasota homes for sale in this area. Cobblestone is an active lifestyle community developed in Palmer Ranch under the signature Esplanade brand of national builder Taylor Morrison. This development is located on a parcel of about 70 acres just west of the McIntosh Road–Sawyer Loop junction. Hammock Preserve is a resort-style residential development set up in the 7,500-acre Palmer Ranch master-planned development. It came part of the wave of new Palmer Ranch homes for sale that emerged in the housing market’s recovery after the Great Recession. This community is composed of 192 units in varying floor plans of two and three bedrooms and their sizes ranging between 1,555 and 2,045 square feet. Each condo unit has a screened lanai and either a one- or two-car attached garage. The condo homes in Bella Villino, built in 1998, come with floor plans for one, two, and three bedrooms. These units are endearing with their private screened balconies, and even more so for some having attached one- or two-car garages with electronic doors. A higher-end, gated community, the Botanica condos you find for sale were constructed in townhouse architectural design. These residences were built in the mid-2000s featuring six different floor plans that range from 1,600 to 2,300 square feet. The homes of this community are nestled within a 565-acre enclave. Floor plans of Country Club of Sarasota homes for sale can range from about 2,500 square feet to over 5,500 square feet, while asking prices can start at the $300s and reach the $1.4 million level. The serenity of the magnificent views of the community is complemented by the twenty-four-hour guarded security of its access gate. To enhance the residents’ privacy, the home sites here were laid out in such a way that the residences do not back up to one or another. The homes in Huntington Pointe are designed as single family residences built with two, three, or four bedrooms at floor spaces of between 1,800 square feet and 2,600 square feet. Their listed prices can range from the high $200s to the low $300s. With price ranges from the low $200s to the high $300s, Marbella homes for sale come in 1,600 to 3,300 square feet. Residents enjoy meticulous landscaping and a refreshing vista of scenic lakes and well-preserved trees, typical of the Palmer Ranch communities. Most Mira Lago homes for sale range from 1,700 to 2,200 square feet and cost somewhere between $280,000 and $390,000. The maintenance free community has its own pool, which is perfect for socializing and neighborly gatherings. Many of the homes have a lake view. Palisades homes for sale are rare and valuable find when one is offered. The neighborhood is composed of only 43 single family homes with a floor plan of about 1,600 to 2,400 square feet. Palisades real estate for sale will range in price from $300,000 to $350,000. Palmer Oaks homes for sale are priced between $200,000 and $300,000 for the single family homes and at around $150,000 for the carriage homes. Residents enjoy homes that range from 1500 to 2500 square feet and a community pool with cabanas for an enviable resort style living. Palmer Square East condos for sale feature townhouse style units with two to three bedrooms on a floor plan ranging from 1800 to 2500 square feet in size. For a price that’s somewhere between the high $100s and the low $300s, these properties are a smart purchase option. The community presents Mediterranean inspired townhouses with price tags that start from the high $100s to the low $300s. The floor plans of Palmer Square West condos for sale range between 1800 and 2800 square feet with two to three bedrooms. Pinestone residents are a well-balanced mix of young and old, and the neighborhood has a very warm and friendly atmosphere. Homeowners and guests appreciate the community’s heated jr. Olympic sized pool, where several fun gatherings take place. Plaza De Flores condos for sale are indeed a remarkable piece of Palmer Ranch real estate. With sizes of residences for sale ranging from 950 to 1,319 square feet, these splendid properties are attractively priced between the low and high $100,000s. Prestancia real estate ranges from a spacious single family home or a luxurious villa to a resort style condominium community. A condo unit may cost around the high $100s to the low $200s, whereas single family homes range would start from the low $200s. Prospective homeowners looking for a reasonably priced development can find Serenade condos for sale for under $100,000 for a one bedroom unit, which has a floor area of 800 square feet. A three-bedroom, 1400-square-foot unit would cost approximately $160,000. Silver Oak homes for sale can have a price tag in the $400s for a 2200-square-foot floor area. A maintenance free villa of 3800 square feet would be in the $800s price range, and a 5300 to 7000-square-foot estate can go as high as $1.3 million. The price of Stoneybrook real estate depends on the type of residence and the location of the lot. A single family home would start from the low $300s up the high $400s. A condo unit has a price range between the high 100s and the low $300s. The Hamptons homes for sale have a price tag between the high $200s and the low $500s. Even though the subdivisions are distinct from one another, nevertheless, they share the same Palmer Ranch real estate excellence and characteristics. The Isles homes for sale have a price range between the high $100s and the low $400s. The living space of carriage homes is approximately 1800 square feet, while single family homes are slightly larger at 2000 square feet. The Isles is one of 2 communities that still offers new construction. Turtle Rock homes for sale are in the price range of the high $200s to the high $500s, and floor plans of 1500 to 3500 square foot residences will have 2 to 5 bedrooms. The Maintenance free villas in Savannah and Somerset are priced around the $300s. Home buyers interested in Village Walk real estate will be delighted to know that there are three residential types to fit every need and budget: single family homes, villas, and townhouses. The floor plans vary from two to four bedrooms, and prices range from $200,000 to $500,000. The resort style condominium community is nestled on a lush green parcel of land on Potter Park Drive, beside one of Palmer Ranch’s scenic lakes and just next to the Sarasota Family YMCA and walking distance to the Sarasota Square mall. The price range for Wellington Chase homes for sale can go from the low $200s to the mid $300s. Floor plans range from 1400 to 2600 square feet. There are two to four bedroom residences in the development and the HOA fees are some of the lowest in Palmer Ranch. Stonebridge homes for sale are priced between $300,000 and $400,000. Considering the upscale neighborhood’s location and access to a wide range of amenities, this Palmer Ranch real estate price range makes Stonebridge a sound and practical investment.